Ring of Scale beta is opening on the 25th of October, I thought I'd post some preliminary info. 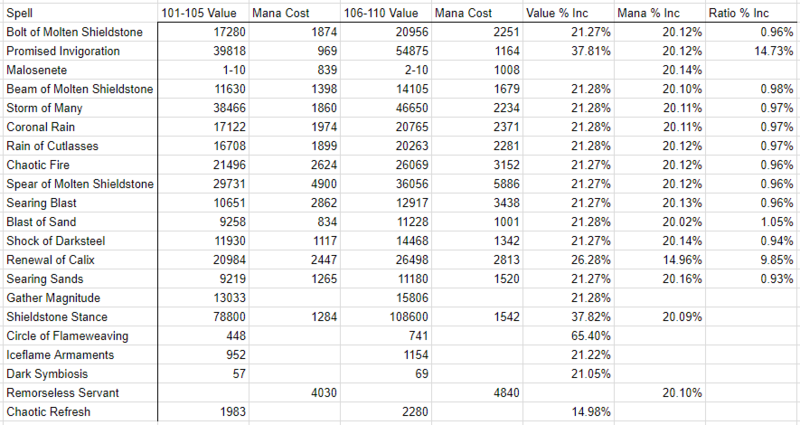 Storm received a larger than normal increase in its mana cost, ~37% (vs ~20%). This is a notable decrease in it's ratio, and might be intended to increase our mana usage on raids. 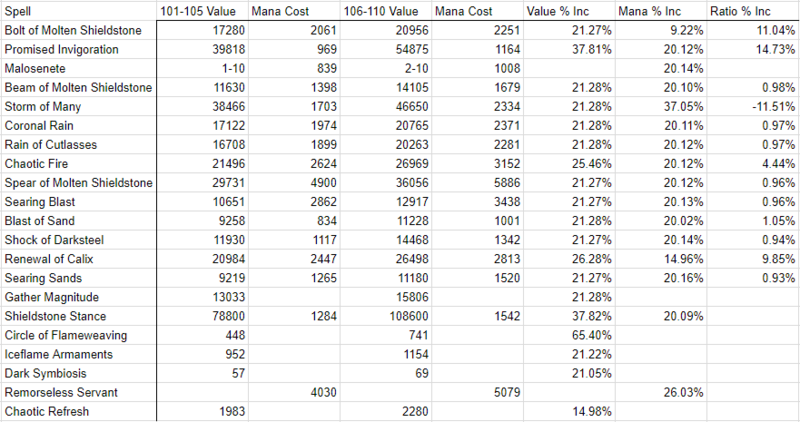 RS received a larger than normal increase in its mana cost, ~26% (vs ~20%). Gather Magnitude got an upgrade, but it was only ~21% over its level 100 version, so it's really bad. There's at least one interesting change in the dbstr_us file so far too, but I don't parse that information myself so I'm not going to post it. If you're curious, though, you can either find a manual way to compare changes to that file or get an EQResource premium membership (they post the changes to the spells_us and dbstr_us files daily). Hopefully AA info will get patched soon. Beta's opening Wednesday but AAs still haven't been patched; hopefully that will change soon. Have fun with beta and enjoy later RoS, live mages ! I hope our class is decently treated in the newest expansion beside the pet nerf several months ago.